The Panta Urbis 5G overtrousers are an updated version of Tucano Urbano's highly functional overtrousers. They are waterproof, windproof, breathable and the thermal polyester padding will keep you warm when temperatures drop. They have zips running along the entire length of the legs up to the waist which makes them a breeze to get on and off without removing your boots. The zips are backed up by a gusset to keep all moisture at bay, and there is a watertight internal pocket on the side zip. 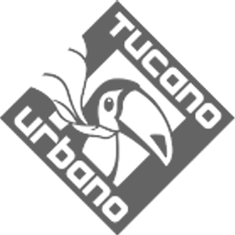 Sizing for the Tucano Urbano Panta Urbis 5G Trousers* as verified by the Urban Rider team. *These are waterproof overtrousers, and are designed to fit over your riding trousers. Choose your size accordingly. Take your favourite trousers, lay them flat and compare them to our measurements of the Tucano Urbano Panta Urbis 5G Trousers below.